Dare To Compare Regal Nissan’s Service Prices vs. The Competition! How much could you save on your next visit? 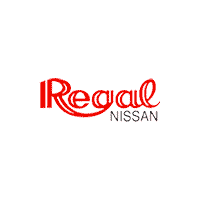 Regal Nissan Service & Parts Department is your best choice when servicing your vehicle. Our Service Advisors and Technicians are continuously trained on technology, tools and techniques for Nissan vehicles. No one in the aftermarket or at any other Nissan dealer has the experience and expertise that we have at Regal Nissan. We all know what happens when you don’t use genuine parts! Each service includes a Safety Inspection and will be completed in 30 minutes or less or your next Oil and Filter Change is free! We promise to offer you the highest quality of service at a fair price. The Service Advisors will inform you upfront of repair costs, exactly the services that your vehicle needs and prioritize all needed repairs. Our Technicians at Regal use the best equipment available to diagnose and repair your vehicle and receive constant training from Nissan. Schedule a service appointment today for service specials and coupons!